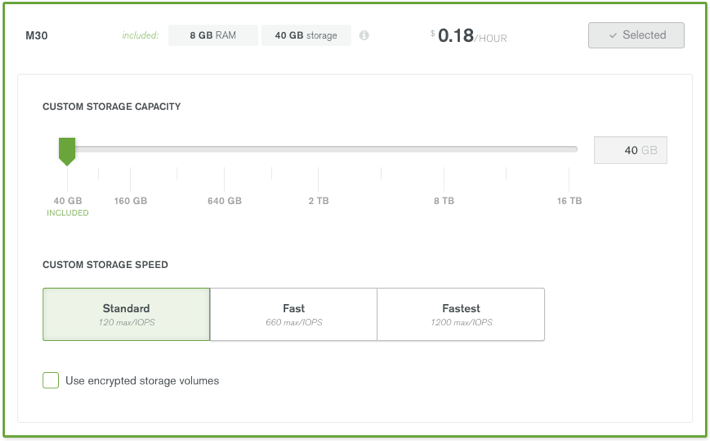 This walkthrough covers the security philosophy behind MongoDB Atlas and how you can leverage tools to keep your database secure in AWS. 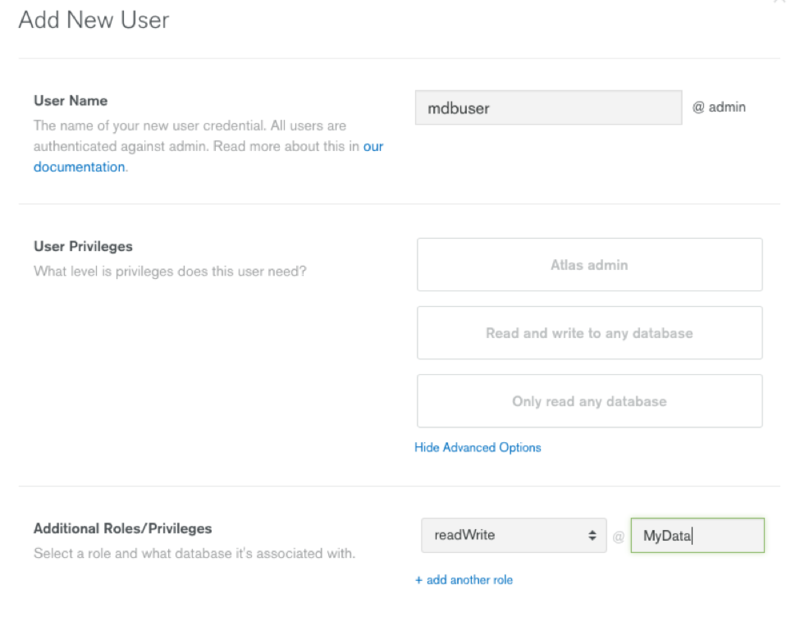 MongoDB Atlas has username and password-based authorization and authentication enabled, always. MongoDB Atlas makes use of SCRAM-SHA-1 as its default authentication mechanism, which is part of the MongoDB database core. It follows the IETF standard, RFC 5802, that defines best practice methods for implementation of challenge-response mechanisms for authenticating users with passwords. You can use a variety of predefined user roles such as "Atlas admin", which is essentially a full rights, administration user, "Read and write to any database", which permits no administrative rights, or "Only read any database", which allows you read-only access. You also have the ability to define permissions for any specific user. What databases they can access. What they’re authorized to do. I am creating a custom user account named "mdbuser" that can only perform reads and writes to one database, named "MyData”. MongoDB Atlas utilizes TLS/SSL to encrypt connections to your database. You can trust your data will be transmitted from endpoint to endpoint without concern thanks to this default configuration. All connections to your database, either from your shell or from your app, are encrypted using the TLS/SSL. All replication connections from your primary replica set member to your secondary MongoDB nodes in your cluster are also protected.